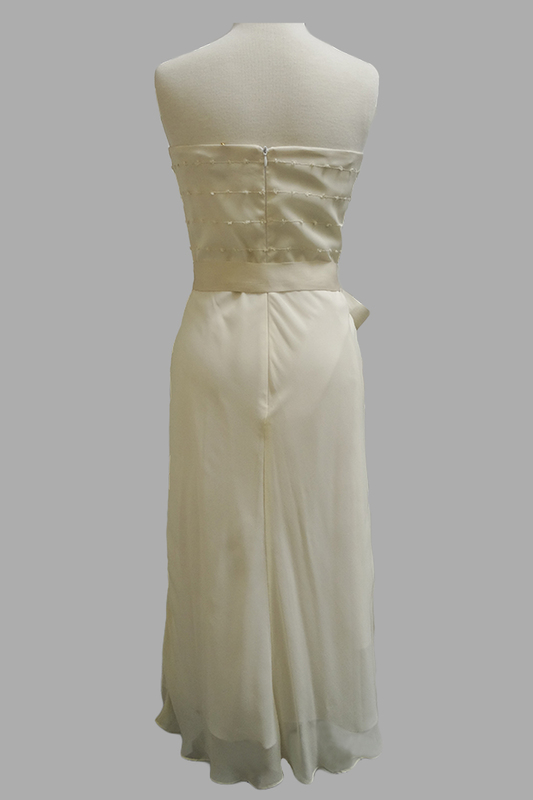 Leslie Caron's Dance Dress features a straight, strapless neckline and flowy A-line bias skirt. 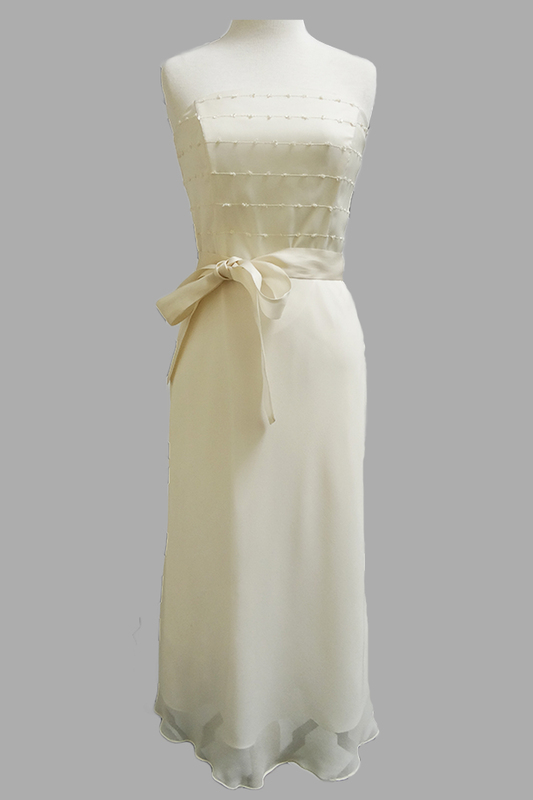 The bodice has delicate French embroidery and the bow sash adds definition to the waist. Wear with a vintage hair brooch and heels for a classic glam look.